Mexican artist Mónica Mayer restages a 1978 performance in which visitors receive notecards printed with questions about women’s bodies and experiences in public spaces. Visitors then hang their written responses on a clothesline, an allusion to everyday female labor. Friday, September 15, noon–7 p.m.
Saturday, September 16, noon–3 p.m.; 8–10 p.m.
Sunday, September 17, noon–4 p.m.
Monday, September 18, 11 a.m.–6 p.m.
La artista mexicana Mónica Mayer vuelve a poner en escena una performance de 1978 en la cual los visitantes reciben tarjetas impresas con preguntas sobre el cuerpo y las experiencias de las mujeres en espacios públicos. Los visitantes luego cuelgan sus respuestas escritas de un tendedero, una alusión a la tarea cotidiana de las mujeres. 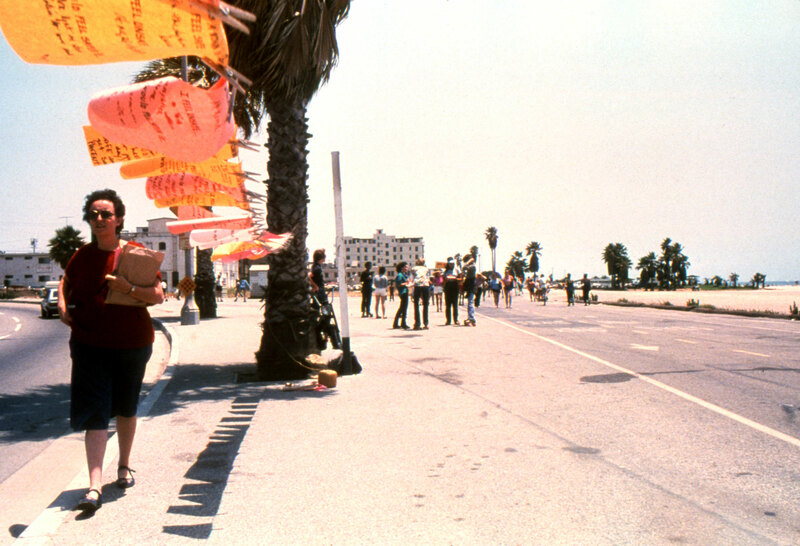 Radical Women: Latin American Art, 1960-1985 is organized by the Hammer Museum, Los Angeles, as part of Pacific Standard Time: LA/LA, an initiative of the Getty with arts institutions across Southern California. The exhibition is guest curated by Cecilia Fajardo-Hill, Andrea Giunta with Marcela Guerrero former curatorial fellow, in collaboration with Connie Butler, chief curator, Hammer Museum. Radical Women: Latin American Art, 1960–1985 is made possible through lead grants from the Getty Foundation. Major funding is provided by the Diane and Bruce Halle Foundation and Eugenio López Alonso. Generous support is provided by the Vera R. Campbell Foundation, Marcy Carsey, Betty and Brack Duker, Susan Bay Nimoy, and Visionary Women. Additional support is provided by the Radical Women Leadership Committee and the Friends of Radical Women. Media sponsorship is provided by Cultured magazine, KCET, and KCRW 89.9 FM.